“The person who takes possession of the treasure of Bi Luo Tian ​​will rule the Kingdom.” Because of this rumor, many in the pursuit of power want to get the “Divine Maiden” Hua Buqi, because she is the only one who can find the treasure. Since childhood, Hua Bouqi has to lives life on the run. One day she meets her savior named Hero in the lotus clothes, but he turns out to be the seventh prince, who is eager to take the throne. Based on the novel of the same name. 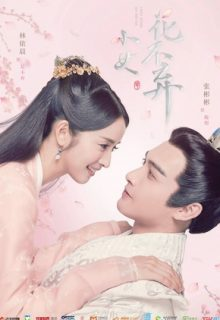 Please have an english subtitle for the drama Under the Power /锦衣之下. I’ve been waiting it for so long. Please! Please! Please. 🙂 We (fans) are looking forward for its subtitle as soon as possible. Thank you. Hope you’ll notice this comment.